Construction work on the library in the Academic Media Center (AMC) was completed in March 2008. The library has open-access shelf areas on the second and third floors (2,933.5m2) and archive spaces on the first floor and second basement floor (2,011.69m2). Situated on the second floor is the library office, the main counter, the No.1 and No.2 reading rooms, an open-access shelf area (manually manipulated compact shelving cabinets), a reference room, and three group learning rooms. On the third floor is the No.3, No.4, and No.5 reading rooms and an audiovisual corner. The library has 770 reading seats, with the seats in the open-access shelf area being cubicle-type seats. The second and third floors, including the open-access shelf areas, can hold approximately 280,000 books. The number of books on open-access shelves is approximately five times higher that of the former library. The first floor has a rare/valuable book archive and a space for researching rare/valuable books. The second basement floor has compact shelving cabinets capable of storing approximately 500,000 books and a mechanized archive with Japan’s largest storage capacity (approximately 1 million books). The new library enables users to get their hands on materials (apart from the materials in the mechanized archive) and browse them directly. 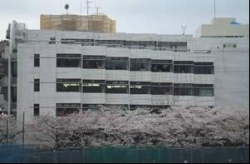 The K-aiser (Kokugakuin University Academic Information network Service) library system went into operation in 2006. As of April 2008, the bibliographic data of approximately 950,000 domestic and overseas titles stored in the library and resource rooms have been recorded in a database, and users can use computer terminals to search, request, and borrow these titles and access CD-ROM material, and so on. A public digital library of many of the university’s rare/valuable books can also be accessed online. The library also has microreaders which can be used to browse microform materials including approximately 60,000 reels of microfilm and 240,000 microfiche sheets. The library currently holds approximately 1.38 million humanities and social sciences books centering on Shinto, Japanese history, and Japanese literature. The Tama Plaza Campus library, which opened in April 1992, covers 2,345m2 over three floors of the No.2 Building. The library now holds approximately 170,000 books including private collections and donated tanka poetry journals, etc. Special characteristics of the library include a fully open-access shelf system that allows users to take any of the books stored in the library (except books belonging to private collections and tanka journals, etc.) in their hands to browse directly, and the particular emphasis placed on ensuring an extensive range of audiovisual materials. The library is also open to local residents in response to community lifelong learning needs. In FY2007, there were 37 local residents registered to use the library. *For information on the history of Kokugakuin University please visit the History of Kokugakuin University webpage. A 15m2 library room was opened with a collection based primarily on a small set of books transferred from the Shinto Office. As of the end of March 1898, the collection consisted of 9,848 titles, including 3,373 Japanese and Chinese publications. Masato Inamura began work on organizing the library’s books, revising the catalog, and compiling an index. Many of the library’s books were lost in a fire. Reconstruction work on the campus building to repair damage from the fire in 1906 is completed in April. A reading room is constructed within the library. Lecturer, Tsuguhira Fujioka, appointed library head. 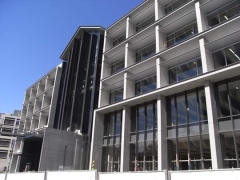 Tentative regulations for the Koten Kokyusho/Kokugakuin University library are established. A Japanese and Chinese book catalog based on Japanese phonetic characters was created.